Call me today or send an email to schedule your photo session in the Wichita area. 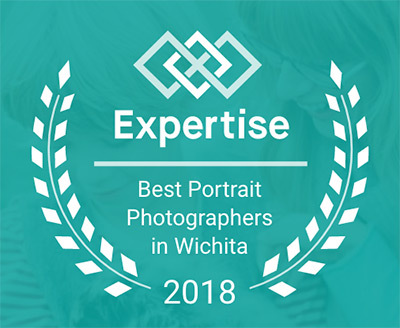 Voted as one of Wichita’s Best Portrait Photographers 2018 by Expertise! Awesome job with our family photos! Brooke did an awesome job with our family photos! We love all of them and she was very flexible with fitting us into her schedule. She does a great job and has a great eye for amazing photos! I would highly recommend anyone to her! Newborn pictures turned out amazing! Brooke took our newborns pictures and they turned out amazing! Her studio was well set up and warm for babies comfort! Brooke shot a mini session of our kids & the pictures are great! The quick turnaround was appreciated & the price was excellent. Hi! I'm Brooke Smith, a Wichita photographer who enjoys taking photos of families, seniors, couples and kids. Looking to schedule a photo session? Contact me today to get your photo session scheduled. View my photography portfolio and see the style of photographs I enjoy taking.